Warning: Pentatonix fans might not like what we’re about to report. 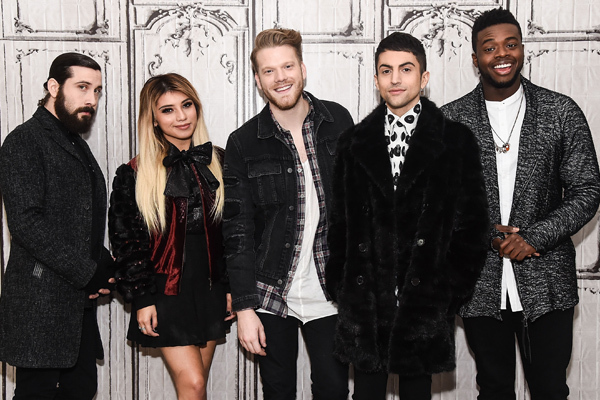 In fact, Pentatonix just announced the end of an era, and we’re still in shock. On Friday, the band, which has been together for six years, announced that one member would be leaving. Avi Kaplan is officially parting ways with the group, cutting their number from five to four. The musician announced his plans to leave the group during a Facebook video, and it’s just so sad. Kaplan may or may not shed a few tears as he speaks, which makes it that much harder to handle. Even though Kaplan is no longer a band member, his longtime friends and bandmates were all there to support him. When you watch the video you can see that Scott Hoying, Mitch Grassi, Kirstie Maldonado and Kevin Olusola were all sitting with him. “I’ve struggled with this decision a lot. It has been the hardest decision I’ve ever had to make in my life,” Kaplan wrote alongside the video. He wrote, "Before I explain why, I want you all to know that the past 6 years have been the most unbelievable years of my life. The things we’ve accomplished, the places we’ve seen, the people we’ve touched with our music… It surpasses anything that I could have ever dreamed up for my life." The singer admitted that the schedule was starting to wear him down, and he needed to take a step back. This decision was clearly a hard one for him. So, we support the sad choice he had to make. He closed by thanking everyone for respecting his choice and being such loyal fans. As of now the a cappella group has no plans to completely disperse and go their separate ways — thank goodness. Kaplan is set to finish out the rest of the band’s tour and will leave at the end of summer. Only time will tell what the group will do with four members. Will they add a fifth? Will they sing without Kaplan? We sure hope so!